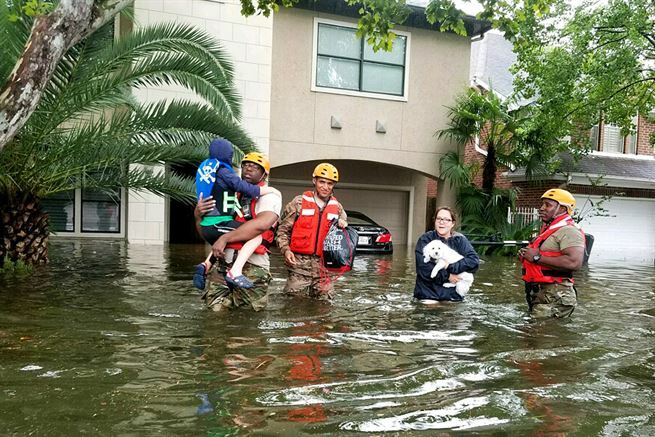 On Tuesday, August 29, as Hurricane Harvey lingered over Houston dumping an “unprecedented” four feet of rain, plus a few inches, the presidential entourage landed in Corpus Christi. Three days earlier Hurricane Harvey came ashore north of Corpus, pounding the small community of Rockport as a Category 4 storm. South Texas took the brunt of what is becoming a new normal: other-worldly weather events. It’s hard to know how to respond to an unmitigated disaster. The president’s role as consoler-in-chief is critical in times of widespread tragedy, though awkward in the best of circumstances. The last thing local authorities need is the small army required to transport the president. This is true of any president, a rare example of bipartisanship. What the president says, how he comports himself, is another matter. Much has already been written about President Trump’s narcissist-tinged, tone-deaf response while on the ground in Texas. But beyond his grating, bumptious manner, there is a much sadder irony in the president’s comments, revealing a stark disconnect between what he does and his understanding of what he is doing. I hope so because with each passing year, meeting unprecedented natural disasters will demand the best of us. Aging infrastructure stretched beyond its design parameters, human displacement, resource constraints, economic, physical, and emotional devastation. We best be prepared. Hope for the best, plan for the worst. Mr. Trump rode to power on a populist message of remembering the forgotten Americans overrun by a world changing too fast. Promising to make us all “sick and tired of winning,” people ate it up. At least enough people to get him elected. The problem with winning the presidency is then you become president. The job of selling is done, now it is time to execute. To execute you need a plan. President Trump’s lack of a coherent plan for his presidency is evident in his approach to climate change, though hardly exclusive to this one issue. Trump’s plan? Undo whatever Obama did, including a policy mandate to improve infrastructure resilience in high-risk flood plains. 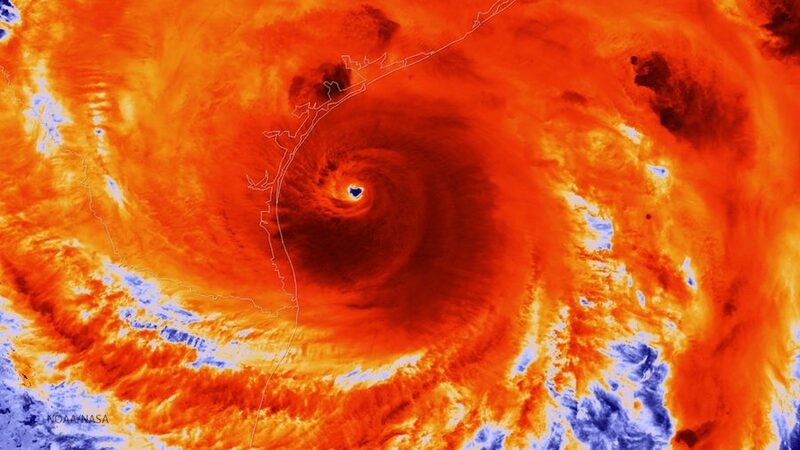 The Trump administration believes it best to rebuild infrastructure destroyed in Harvey-like storms just “as it was before.” Like it will never be again. The obvious fact is that Trump and his people will never find a good time to discuss climate change. Not now, not ever. Expunge the phrase from official documents, defund research, turn off satellites monitoring the biosphere. Make false promises to coal miners and blame it on “fake news” when it doesn’t work out. This is the world in which Donald Trump lives. A world very different from the one you and I will find ourselves all too soon. For many that world has already arrived on their doorstep with a vengeance. From my distant (but all too close) perch, it seems Mr. Trump doesn’t believe in much beyond notoriety and monetary wealth. He says things like “they’re gonna take out the coal and clean it.” As if there’s a job for someone with a scrub brush and determination to make that coal sparkle.